Identifying Rhythmic Patterns In Fourth Grade Music Class! Fourth-grade students are focusing on singing American folk songs which incorporate grade-level rhythmic patterns. 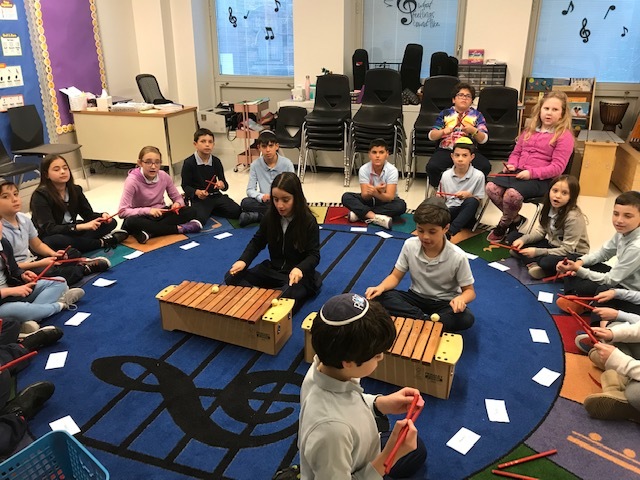 Students are formally identifying the patterns that they sang and applying their knowledge through performance on rhythmic sticks and orff instruments. In preparation for the upcoming recorder unit, students learned the Kodaly stick notation system that isolates rhythm from pitch. Fourth Graders also had fun playing "Teacher Mistake" which reinforced their audiation skills!